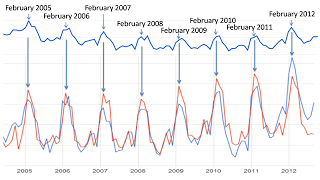 Nothing is certain, but blood pressure does increase at the end of winter and beginning of spring, according to Aurametrix users and Google statistics. As a matter of fact, it highly correlates with tax fever – as found by Google Correlate algorithm comparing millions of web queries. See the figure on the right with searches for property taxes shown in red. Or check it yourself! But the reason for rising blood pressure is not always taxes. 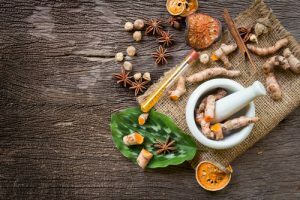 Seasonal variation in blood pressure was noticed and described more than 50 years ago and was connected to periods of decreasing outdoor temperature. 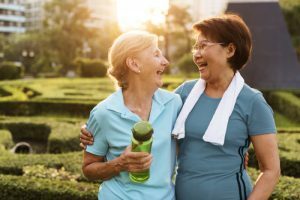 It happens to healthy individuals and those who suffer from high blood pressure, especially in the elderly. The figure shows fluctuations in blood pressure observed by French researchers in a large study of 9294 65+ old residents of Bordeaux, Dijon, and Montpellier. Both systolic and diastolic parts of blood pressure as well as heart rate measurements significantly differed across the seasons with a clear trend for increase in colder months. And decreases following warmer weather – the higher the temperature, the larger the blood pressure decreases. Changes in blood pressure relative to outdoor temperature were largest in the elderly (80+ years old). On average, for a 15°C decrease in outdoor temperature, Systolic blood pressure (SBP) increased 0.8 mm Hg in those aged 65 to 74 years compared with 5.1 mm Hg in the oldest group (≥80 years). For a 15°C increase in temperature, SBP decreased 9.9 mm Hg in the youngest group vs 13.8 mm Hg in those 80 years or older. Winter increases in blood pressure did not seem to be caused by increased alcohol consumption and decreased activity. Neither were they dependent on the indoor temperatures – spending over 12 hours in warm rooms did not help. 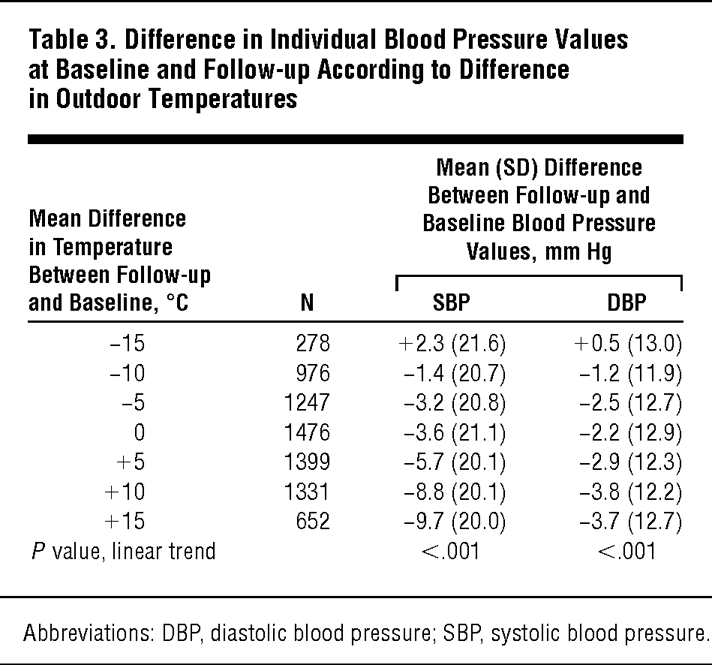 The inverse correlation of blood pressure and outdoor temperature is even stronger for “apparent temperature”- aka the perceived coldness derived from the combination of temperature and wind. 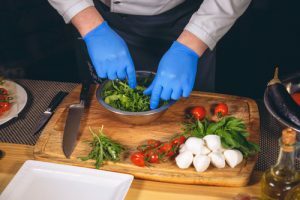 And it was observed all over the world – as documented in studies performed in US, Denmark, China, Japan… Possible explanations include direct thermoregulation-mediated vasoconstriction, hypothalamic-pituitary-adrenocortical axis (HPAA) and sympathetic nervous system (SNS) activation, sodium/volume retention and impaired endothelial-dependent vasodilatation. Reduced sleep duration or quality could be also contributing. The high blood pressure season is almost over. Fortunately, many critically ill people made it through and, hopefully, learned more. Let’s gear up to make the next time easier.